What emotion is left once the heart and mind stops caring? Khedlar has an unquenchable thirst for revenge and will stop at nothing to punish those responsible for the murder of his wife and child. No one is safe in his psychopathic path, not even himself. In a warped world of madness and deceit, he makes it his mission to save his daughter's soul which pulls him deeper into the web. This unique, fast paced psychological thriller will horrify and exhilarate your senses all at once. Dawn Vines makes us question what is normality while leaving you wanting to know more. How many fragments of the puzzle were still hidden in the shadows and is Demetrious the only one who knows the untainted truth? This book is relentlessly gripping, with an intensely captivating story, a must read that will be impossible to put down and not for the faint hearted. How much truth can you handle and how far you would go to get it? Understanding the human condition can ignite horror and disbelief. The mind can be understood even when broken, it challenges who we really are. Psychopathic instincts drive Khedlar into his unpredicted hell and carnage that he is driven to orchestrate. Through the looking glass of sanity and insanity, Khedlar battles with his mind and conscience in a world where madness is normality and fractured projections of the past are all he has left. 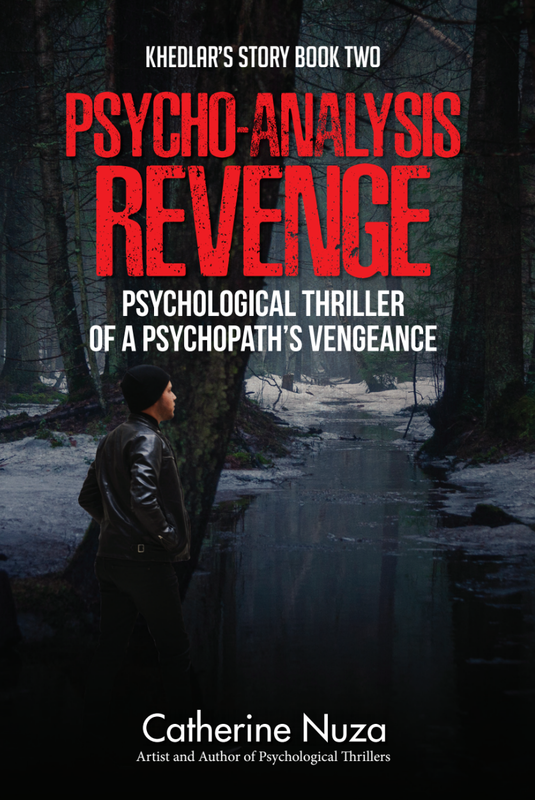 How a psychopath is born and the need to survive combines in the ultimate psychological thriller of love, death and betrayal. How deep is the rabbit hole in the darkest corner of your mind? This is the beginning! Get ready for a chilling, accurate, fast-paced story that unravels one lie at a time. Not all that lies beneath the human psyche is beautiful. No one ever tells you about the dark side of being a vampire. Children’s stories of happy vampires that twinkle in the sunlight are all a lie and nothing like the devious world I struggle to survive in. I’ve been condemned to a life hidden deep inside the shadows; this is my wretched fate now. Driven by love for my beautiful Riza I am at her mercy and no match for her powers. Being one of the most powerful blood witches of our time her reason for being comes to a head as she rises up in power within her coven. I will not abandon her or our love no matter what we face; I will fight for her even if what we have in seen as an abomination. The underbelly of our world is building a rebellion that will turn what people think they know about us on its head. A war is coming to the vampire nation, one that will decide the fate of an entire race! I never wanted to be embraced. I tried to kill the one who forced me into this existence. His time will come and so will mine! Catherine Nuza's first book is a collection of her poetry, written over the last 10 years. The poems document her journey through life, from light to darkness and back again.